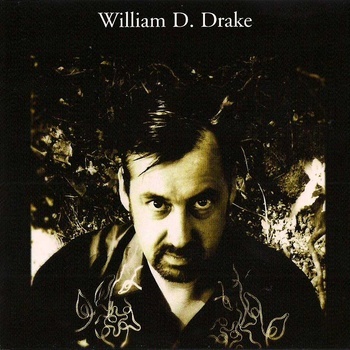 Born in Stock, Essex, William D Drake began playing the harmonium as soon as he was able to stand. When he was five, a neighbour loaned his family a piano and Drake learned to play, honing his skills by playing duets with his grandmother. He undertook piano instruction and played in numerous bands during his time at school. Drake joined his first significant band, Honour Our Trumpet, in 1982. It was at their first gig at The Grey Horse, Kingston that Drake met Tim Smith who sometimes supplied a P.A. for the venue. Tim Smith had already formed Cardiacs with his brother Jim, but joined Honour Our Trumpet (H.O.T.) as bass player. Legend has it that H.O.T.’s unreleased tape recordings still exist, possibly amongst Tim Smith’s archives in Wiltshire. Tim Smith invited William D Drake to join Cardiacs in 1983. The first Cardiacs gig with this line-up was at the Marquee supporting Here and Now. Drake’s classical training and skill as a pianist allowed Smith to write fiendishly complex keyboard parts for Drake to perform, but it wasn’t long before Drake began to find his feet as a contributing songwriter for the band. Cardiacs developed a cult following, winning fans through their frenetic live performances and recordings and in 1985, they were invited to be the support for Marillion’s international tour on the personal recommendation of frontman, Fish. Marillion’s fans hated them, pelting Cardiacs with missiles as they performed their set, and eventually, so aggressive was the audience’s distaste for them, the band had to be removed from the last three dates of the tour. During this time, Drake, Tim Smith and Sarah Smith (Cardiacs’ member and Tim’s wife at the time) formed a side project called Mr & Mrs Smith & Mr Drake. They produced an eponymous cassette LP in 1985 that was re-released in 2004 as a CD. 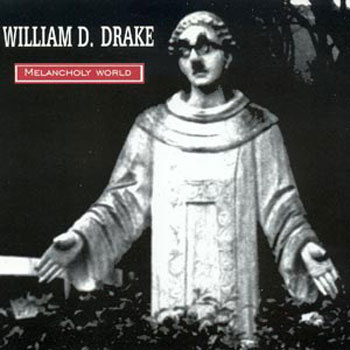 Drake’s composition featured on such classic Cardiacs’ albums as Little Man and a House and the Whole World Window, On Land and in the Sea and Songs for Ships and Irons, but in 1990, he decided it was time to leave the band to pursue other musical projects. In 1992, Drake, Dean Gaisburgh-Watkyn of Here And Now and others formed Nervous. The band’s approach to composition was far from that of Cardiacs and Drake enjoyed the freedom of their improvisational style. He also began to expand his keyboard skills, playing Rhodes and Hammond organs as well as his signature piano and harmonium. Along with performances at the Royal Albert Hall and Ronny Scotts, Nervous recorded an album Son of the Great Outdoors at Paul McCartney’s Hoghill Studio and their single, Da da da, was re-mixed by Nigel Godrich. Whilst with Nervous, Drake reprised his musical collaboration with Tim and Sarah Smith forming The Sea Nymphs in 1993. Tree Tops High was released and The Sea Nymphs were invited to record a Peel Session. Drake worked on other side projects through this period. 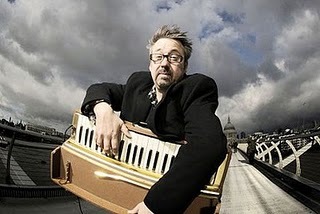 He played with the prog-Goth band Lefaye on their 1995 tour as support for The Cure and formed folk band Lake of Puppies with North Sea Radio Orchestra’s Craig and Sharron Fortnam. Lake of Puppies played the circuit, and recorded four songs, one of which was released on Cardiacs’ Affectionate Friends compilation. Drake left Nervous in 1997. He joined country-rockers Wood and embarked on tours of the United States. At this time, Drake began to develop his solo career, recording his debut album, William D Drake at Tim Smith’s studio in Salisbury, Wiltshire and releasing the album on Smith’s label All My Eye. Drake released his debut single, Melancholy World (Super 8) in 2002, which featured Lake of Puppies’ collaborator, Sharron Fortnam. As a solo artist, Drake has appeared as a session player for numerous artists including Rachel Goswell and The Loose Salute. His composition features on North Sea Radio Orchestra’s critically acclaimed 2006 debut, North Sea Radio Orchestra for whom he also performs as part of the chorus. Although Drake thrives on collaboration, it is his solo work as composer and songwriter that drives him. 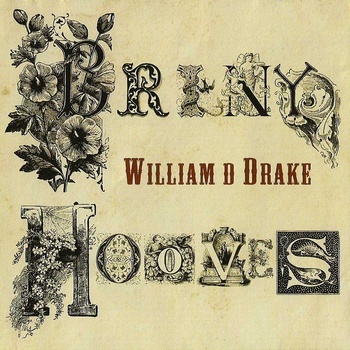 Yew’s Paw (Onomatopoeia), Drake’s solo, instrumental piano album, highlights his talent as a classical composer and pianist, whilst Briny Hooves (sheBear) reveals Drake’s evolution as a songwriter, singer and frontman. Drake performs his music with Richard and James Larcombe of Stars In Battledress, and other musical cohorts from music past and present. His forthcoming double release of the albums Yew’s Paw and Briny Hooves illustrate the two sides of Mr Drake and manifest a career spanning three decades of cult status, collaboration, and musical experimentation. In 2012 following a mighty well received live radio session Bill recorded “Wooly Mammoth” as a jingle for the Marc Riley show on BBC6. Hello to whomever reads this, please pass this on to Mr W.D. Drake: Thank you for not resolving the suspended fourth chord on the chorus to “Serendipity” like EVERYONE ELSE DOES! Well done for being original. Thanks Alan. Consider it resolved in this instance.